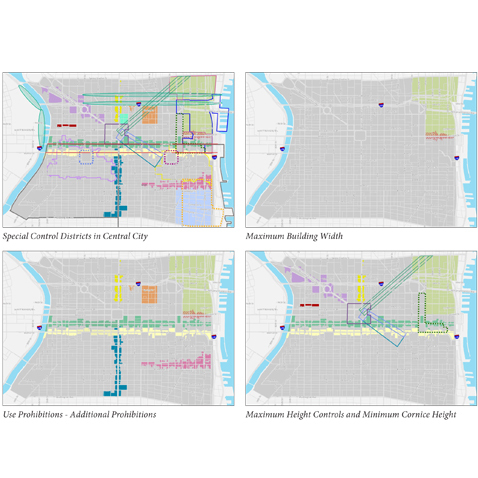 Dyett & Bhatia assisted Clarion in its work for the Zoning Code Commission with an analysis of Central City zoning and how it compares with peer cities. Dyett & Bhatia’s effort was included in a benchmarking report along with suggestions for the zoning update, including how to consolidate overlays, use regulations and standards and introduce urban design concepts and bonus/incentive provisions into Central City zoning. Also addressed were parking strategies for Downtown and sustainability.